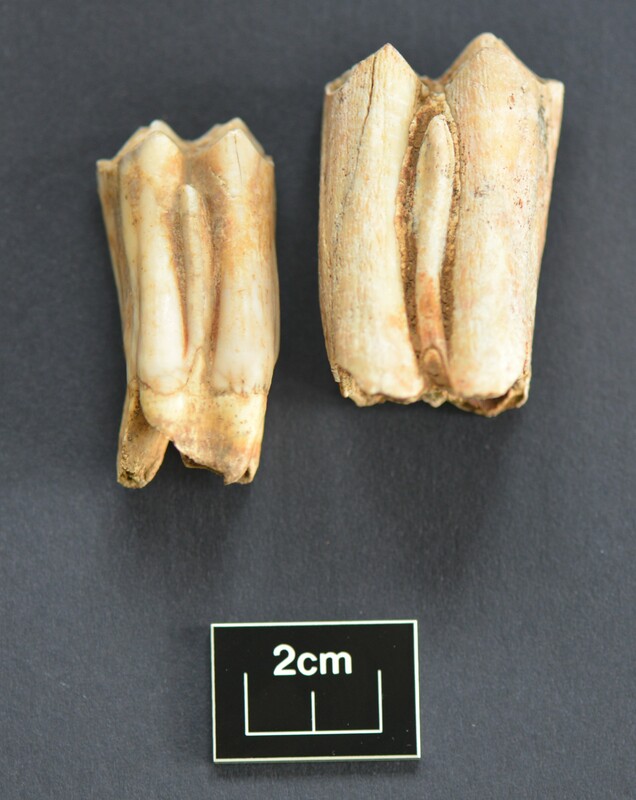 Both these teeth come from an Iron Age settlement Northamptonshire. The tooth on the right is from an aurochs – the wild progenitor to modern cattle. They would have stood about 2 metres tall!